Other Products by Scitec. Search other Protein Powder products. 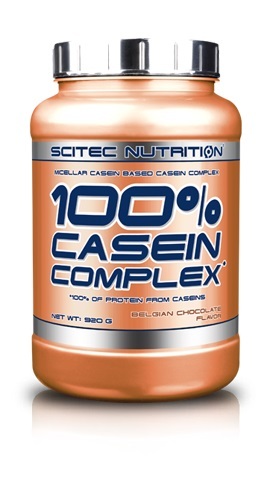 Scitec 100% Casein Complex derives 100% of it's protein from milk caseins. Scitec 100% Casein Complex combines a blend of micellar casein and calcium casein, but utilises micellar casein as its dominant protein source. 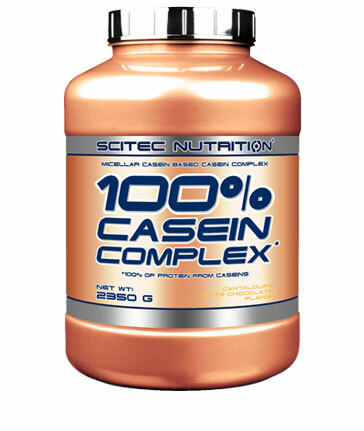 Scitec Nutrition 100% Casein provides a slow-absorbing protein complex which will deliver amino acids into the blood stream for many hours after ingestion. This can be particularly useful if you are unable to have regular protein meals or before bedtime this important rest period is when the muscle repairs and grows. Caseins as utilised by Scitec 100% Casein Complex deliver a high concentration of the BCAA's (Leucine, Isoleucine and Valine) and are abundantly rich in the anticatablic L-Glutamine all of which are essential to protein synthesis and increases in lean muscle mass. Scitec Casein Complex also contains a digestive enzyme complex consisting of papain and bromelain to enhance protein absorption. 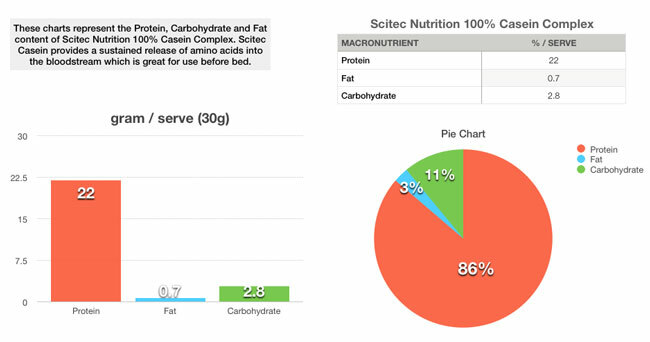 Mix 30g (1 serving) of 100% Casein with 350ml of water or liquid of your choice. Shake well. Best taken in between meals or before bedtime. INGREDIENTS: Milk Protein Complex (Micellar Casein Concentrate and Calcium Caseinate), White Chocolate Powder [Sucrose, Cocoa Powder (33.4%), Whole Milk Powder], Dextrose, Flavors (Melon Cantaloupe, White Chocolate), Sodium Chloride, L-Glutamine, Taurine, Sweeteners (Acesulfame K, Sucralose), Bromelain extracted from Ananas comosus (1200 GDU/g), Papain extracted from Carica papaya (1,5 FIP u/mg), Color (Sunset Yellow FCF**). INGREDIENTS: Milk Protein Complex (Micellar Casein Concentrate and Calcium Caseinate), Fat-Reduced Cocoa Powder (10-12%), Dextrose, Flavor (Chocolate), Sodium Chloride, L-Glutamine, Taurine, Sweeteners (Acesulfame K, Sucralose), Bromelain extracted from Ananas comosus (1200 GDU/g), Papain extracted from Carica papaya (1,5 FIP u/mg).